Video Poker is one of the most popular games played at land-based and online casinos today. 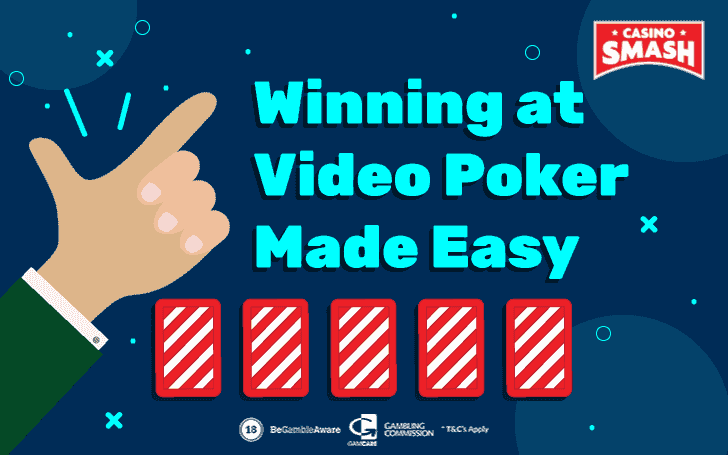 There is a multitude of reasons why video poker remains one of the most played games, the main one being that video poker has a relatively low house edge - giving you better chances to win money online. Also, video poker does not depend only on luck like Slots or roulette. What makes this game particularly engaging is that you have control over every hand of video poker you play. Each decision you take influences how much you are going to win or lose in a given hand. That never happens on video slots. But - you did't come to this article to hear about why video poker is a great game. You came here because you want to beat the game and win money. So, is it true that you can beat video poker online? If you select the right video poker game and you play online following the optimal video poker strategy, you can slash the house odds and have a great chance of leaving the game a winner. This article is designed to help you win at video poker over the long-term. Follow all the strategy advices included on this guide and you'll find new ways of enjoying playing video poker games online. What's great about video poker games is that you can view the anticipated returns for each game before you begin. Video poker games will display their pay table clearly online before you spend a penny of your money. These pay tables are basically free information, as they allow you to hunt the video poker games that offer the best pay tables and the best chance of a return. 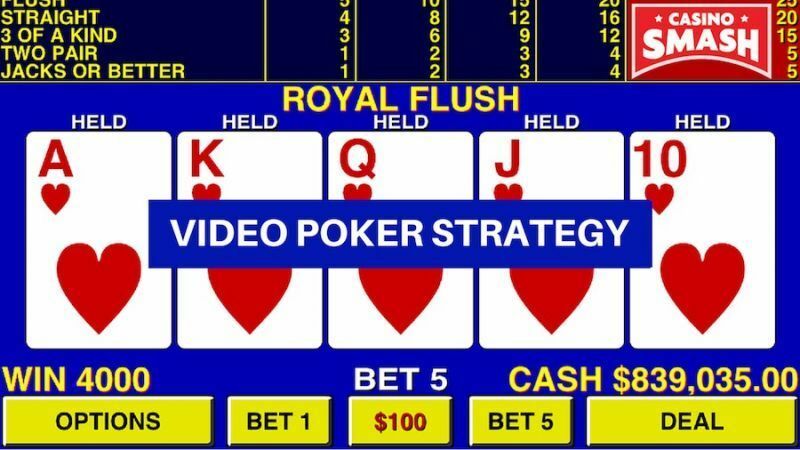 In order to understand which video poker game offers the best pay table, you need to be aware that the return on any video poker software is intrinsically linked to its pay table. It is said that land-based and online casinos pocket around 3% profit on all of their video poker machines. This 3% is known as a casino's house edge. If a casino's house edge on a video poker machine is 3%, that means the return-to-player (RTP) percentage is 97%. But not all video poker software is programmed to have a casino house edge of 3%. In fact, there are some video poker titles that have a house edge as low as 0.4-0.5%. If you don't choose the video poker games with the lowest casino house edge, you make a mistake. You'll lose your money a lot quicker if you play video poker on a machine with a 3% house edge, compared with one that has an edge of only 0.5%. Now that you know about the concept of house edge, it's also important to educate you about 'full pay' machines. A full pay machine offers the very best video poker odds, including the highest payouts when landing the best hands. The most common game of video poker is Jacks or Better, requiring at least a pair of Jacks for a winning hand. Before you begin a game of Jacks or Better, check the payout table to ensure it 'pays full'. As a rule of thumb, full pay video poker games should pay out 9x your initial wager for a full house and 6x your initial wager for a flush. Keep an eye open for these '9/6' video poker machines where the casino advantage is lower than anywhere else on the casino floor or online. You should always bet the maximum allowed in the game. You will kick yourself for the rest of your life if you land a royal flush and don't get the maximum jackpot for your achievement. A full pay video poker machine will pay you up to 4,000x your initial wager for a royal flush, but if you wager much less than the maximum bet you can guarantee the payout will be more like 2-300x your initial bet. Although a 300x payout is still a nice win, it pales into insignificance compared with the maximum jackpot; especially when you consider that the likelihood of you landing a royal flush again anytime soon is very small. Of course, if you are prepared to bet the maximum coins for every hand you play, you need to make sure you choose a video poker machine that you can afford to bet the maximum on. We would never recommend that you play beyond your means as this will severely reduce your levels of enjoyment when playing video poker. 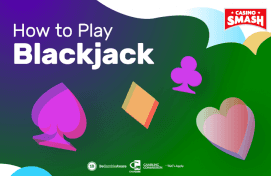 Although you can find the optimal playing strategy for Jacks or Better video poker on many websites online, we thought we would make it easy for you and present the strategy below. The strategy informs you what cards you should keep when you are dealt your five-card hand on-screen. You are holding a two-pair hand – the fifth-highest ranking hand in video poker. In which case you should hold all four of those cards and discard the two of diamonds as this won't help your hand. If you're keen to know how to beat video poker machines, you'll also need to be mindful of the speed of your play. Make no mistake about it, video poker games are designed to generate money for the casino, not for you. Even if you choose a video poker machine with only a 0.5% house edge, the more hands you play, the more you will lose over time. Don't play video poker for volume. Play your hands more slowly and in a considered fashion to help reduce those hourly losses and give you the chance to play longer and try to hit the maximum jackpot for a royal flush.